What Has Daisy Troop #4717 Been Learning? The Kindergarten girls in Girl Scout Daisy Troop #4717 have been busy learning about, contributing to, and showing appreciation for a variety of organizations that serve our community. 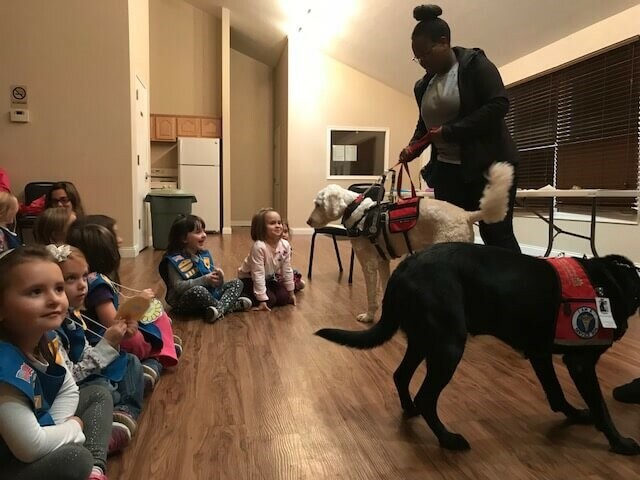 Last fall, Paws Giving Independence, NFP brought three service dogs to a Troop meeting to teach the Daisies about ways that service animals help a wide range of people living with physical, emotional, or mental conditions. (2 photos with Daisy Troop #4717 and Paws Giving Independence, NFP). 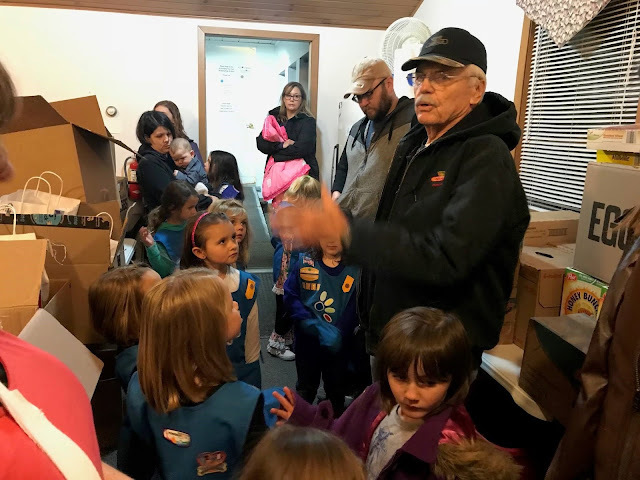 Just before the holidays, the Daisies were inspired to decorate and pack "birthday bags" containing cake mix, frosting, candles, toys and gifts, which they donated to Open Arms Food Pantry 1393 Mennonite Rd, Metamora, IL after receiving a tour of the facility and learning about the work they do. (Photo with Daisy Troop #4717 and J. Gingrich, Volunteer Coordinator at the Open Arms Food Pantry). 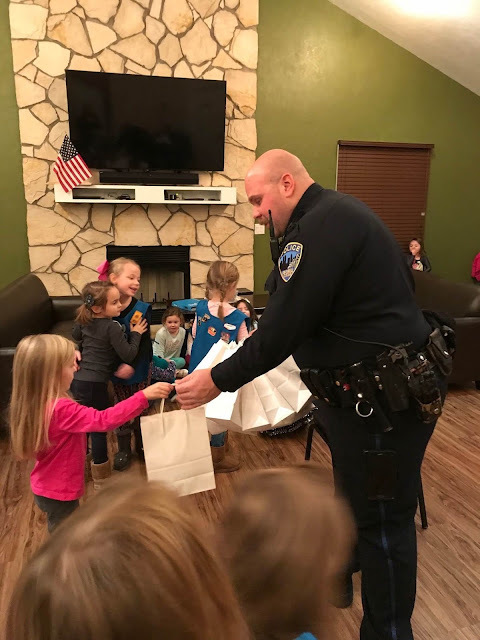 To start off the New Year, the Daisies packed and donated appreciation bags containing candy and gum for Officer Richards of the Peoria Police Department to share with his fellow officers after teaching the Daisies about respecting authority. (photo of Daisy Troop #4717 with Officer Richards). Way to go Daisy Troop # 4717! Looks like you had fun and learned a lot.